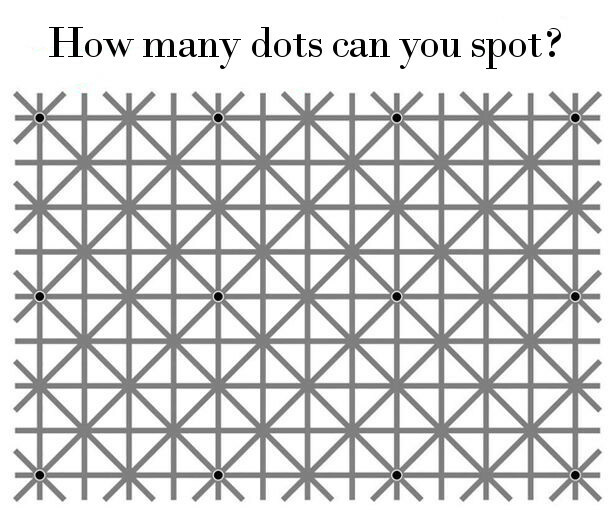 How Many Dots Can You Spot? This is an amazing photo and example of just how your eyes and brain work! First try to count how many little black dots you can spot, before going to the solution, in which I explain the science behind it!